Before addressing Himanshu’s comments in detail, I want to point out that focusing on growing the number of conversions you receive on your site is a great idea. Not a good idea. A great idea. As I noted yesterday, ratio metrics like conversion rate mask details of why you’re converting more visitors. But any single number, whether conversion rate or sales or email signups or site memberships or leads generated or what-have-you suppresses context. And context remains key to making sound business decisions. Don’t mistake my thoughts below as rejecting the idea of paying attention to conversion volumes. Just don’t use it in isolation, either. Well… yes. Reporting lots of things only makes sense when presented by segment. In fact, segmentation is a key component of successful web metrics. I’ve written a whole post about the importance of segments as part of the Website Analytics Fundamentals Series. So, as you might imagine, I believe segments are incredibly, um… fundamental. Without recapping the whole segmentation post, I’d point out quickly that the point of any metric is to create actionable insights. Without segmenting your customers, it’s incredibly hard to determine your next steps to drive more sales, more traffic, more conversions or anything else. Segmentation matters. Embrace it. Increase the number of people you convert from existing visitors. Increase the amount of traffic you receive from highly-converting customer groups. A combination of #1 and #2. I’m going to ignore #1, since paying attention to increasing conversion rate is my core argument. And I’m going to ignore #3 because it relies, at least in part, on #1. So, let’s talk about #2 for a second. If you increase traffic from the customer types most likely to convert, Himanshu’s absolutely right: Your aggregate conversion rate will increase. But, there’s a word in marketing for “customer types.” They’re called “segments.” And, as I just mentioned, you can’t drive increased traffic from high-converting customers if you don’t know who they are. So, again, segments matter. Does CVO depend on traffic? Well, as I just noted, it either depends on the sheer volume of traffic going up or on converting more of the traffic you already receive (or, of course, a little bit of both). Is conversion volume optimization easier? Nope. I don’t buy it. I’ve got two problems with this argument. First, as I mentioned a moment ago, you can’t increase conversions without increasing segmented traffic or improving conversion rate. The arguments as to why those discount “CVO is easier” should be obvious. The second point is this. Let’s say that CVO is easier (I’ve just explained why it’s not, but hear me out for a moment). In business, you don’t want to waste resources. So, finding things that are easier is a Good Thing. But, you shouldn’t go for the easy solution if the alternative is the right solution. As I’m showing here, I’m not convinced that conversion volume optimization is the right solution — at least not by itself. It’s easier to do nothing in many cases, too. That doesn’t mean it’s the right thing to do. This is a compelling argument. When you look at volumes of conversions, there’s only one way to see the number. It went up. It went down. It hit the target. Or it missed. Clear as crystal, right? I’ve seen many companies burned by this fallacy over the years. Here’s why. When you report conversions, what are you really reporting? Let’s imagine it’s sales (though it could just as easily be leads, email signups, what-have-you). And let’s pretend you got 50 sales last week. Now, were those orders or shipped goods? Does the number account for cancelled orders or is it only gross sales? What about returns? Are returns and cancellations factored into the number of sales in the week the returns occurred or in the week the original sale occurred? Does your web analytics even account for cancellations or returns? 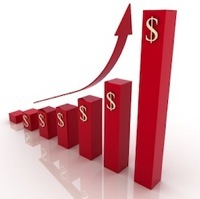 Do you report revenue or sales figures? If revenue, do you report in a common currency or by each region’s currency? And so on. Many companies report gross sales in some contexts and net sales in other contexts. On one memorable occasion, I watched for the better part of a quarter-hour while two corporate vice-presidents screamed at one another about whether a promotion succeeded or failed based on whether you counted net or gross sales and which was a fair representation of their individual departments’ efforts. All statistics lie a little. The point is whether they mislead. Volumes are no less ambiguous than conversion rate unless provided with appropriate context. Just as with conversion rate. See the item immediately prior to this for why CVO is as prone to error as CRO. However, more to the point, who cares? Now, don’t think I’ve lost my mind here. Errors, obviously, in a reporting system are not great. But, think about why your metrics exist. As my friend Doug Hubbard points out, measures exist to reduce uncertainty and aid your decision process. Even incomplete measures can help you make solid business decisions. Ask anyone in the C-suite and they’ll tell you they make decisions every day based on the best available information. Don’t worry so much about whether any measure — conversion volumes or conversion rate or anything else — is perfect. Focus instead on whether it helps you make solid business decisions. Does CVO speak the boss’s language? This, again, is a very compelling argument. In fact, it’s my favorite one of the bunch. I’ve long argued you want to tell your story in the language the C-level speaks. So, no quarrel here. At the same time, remember that many CEO’s these days understand conversion rate, at least in a general sense. I’m frequently asked to help businesses understand how their conversion rate ranks relative to their competition. Not by e-commerce teams, mind you. By the C-suite. In another memorable case, I knew an e-commerce vice-president whose CEO accused him of hiding something because he didn’t share conversion rate with the company. Conversion Volume Optimization is a handy tool to throw in your toolbox. But, as with any metric, your risks increase dramatically when you try to boil your business down to one number. Context matters. That’s why segmentation is so important. The only number I’m happy to look at in isolation is profits — and even then I want to know how they’re doing relative to the past. As I said both yesterday and at the beginning of this post, get your web team to focus on volumes. But get them to focus on traffic and conversion rate and anything else that matters to your business too. Then maybe you’ll have more profits to watch. Tim Peter & Associates helps companies from startups to the Fortune 500 use the web to reach more customers, more effectively every day. Take a look and see how we can help you.